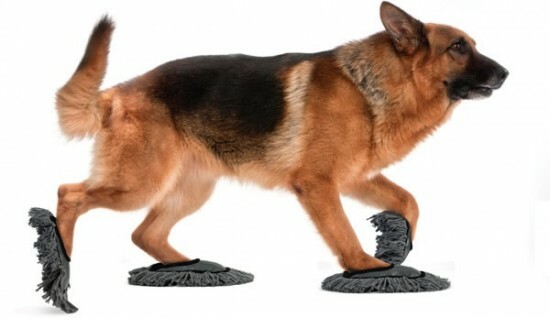 12 Innovative Mops and Clever Mop Designs. 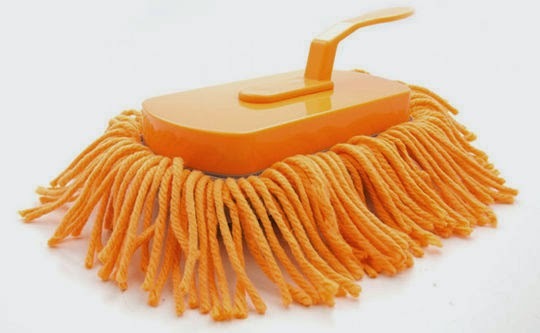 Collection of 'Innovative Mops and Clever Mop Designs' from all over the world to keep your house clean. 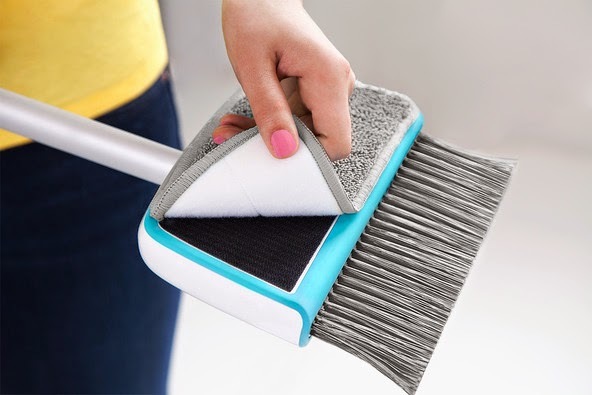 Foldable Mop: This unique foldable design allows you to clean every place of your house; it features a pole that telescopes up to 51'' and two micro fiber cleaning heads. 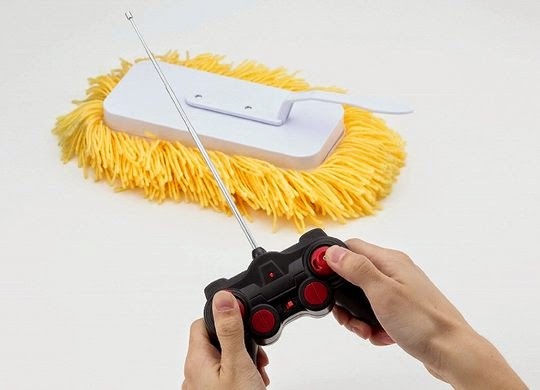 Remote Control Mop: This is a radio controlled cleaning mop that will drive around cleaning your house. 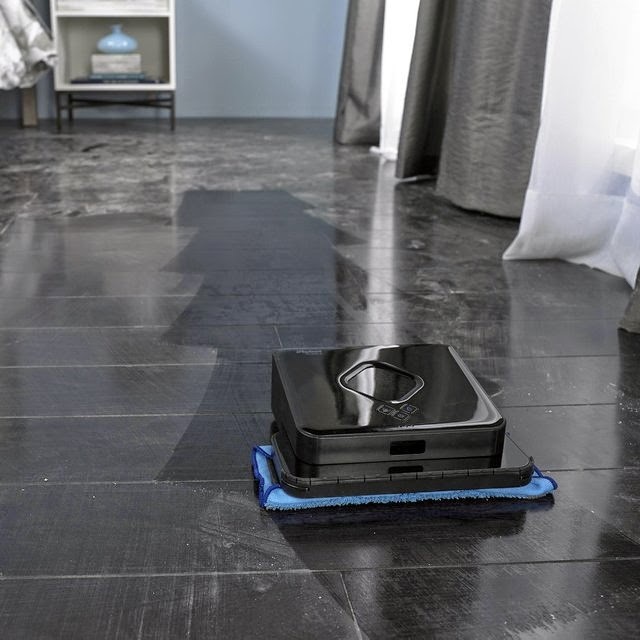 Braava Floor Mopping Robot: The Braava Floor Mopping Robot by iRobot is rechargeable and cleans for up to 3 hours dry sweeping on a single recharge, or up to 2 hours wetmopping. Baby Mops: The Baby Mops from E Bauman of Better Than Pants is a pair of footed baby pajamas outfitted with 100% cotton dust mop pieces. 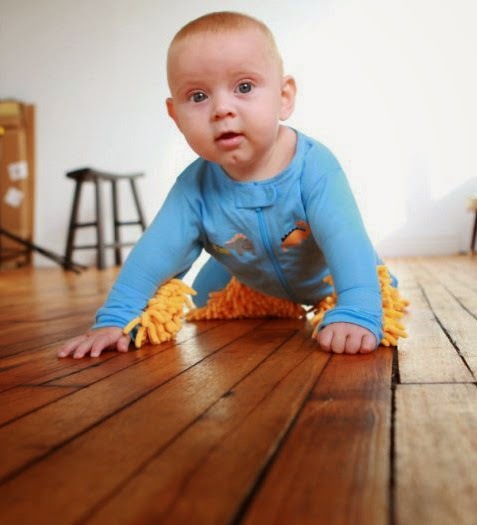 While the baby moves around on the floor, the floors get cleaned. 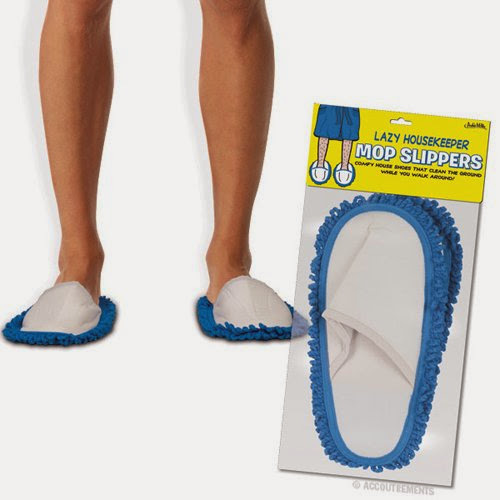 Lazy Housekeeper Mop Slippers: These mop slippers clean while you walk around. Flipside: This mop broom can be used as push broom and sweep broom. 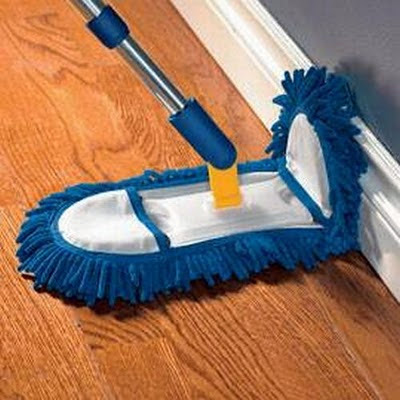 Mop Slippers: The Dust Mop Slippers cleans your floor while you are walking around your house. 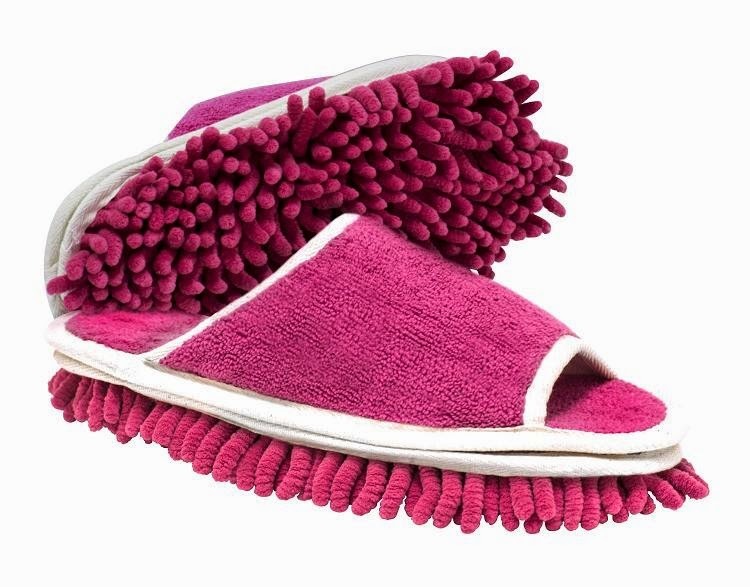 Microfiber Cleaning Slippers: This Open toe slippers feature microfibers that keeps your hard floors clean while simply walking through your home. Sugoi Mop Mini: This Sugoi Mop Mini is a small version of the popular 'Remote Control Mop' and works in a similar way but it doesn't have a remote to control; you need to power it on and whenever an obstacle comes in front of it, it automatically changes the direction. Dyson Hard Vacuum: The Dyson Hard combines the Digital Slim cordless vacuum cleaner with a mop head and its head and neck are removable which allows you to use it as just a vacuum. 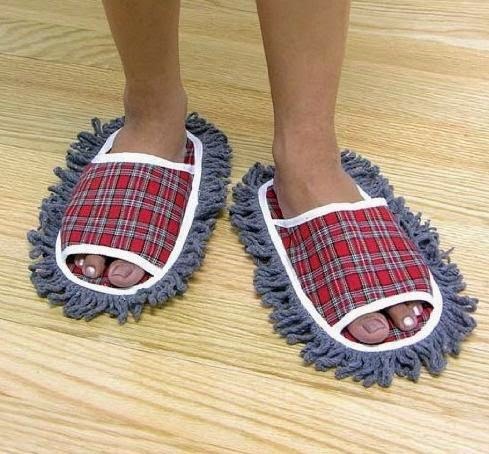 Cleaning Slippers: With these creative slippers you can dust your floors by simply walking across them. Cleaning Slippers for Cats and Dogs: Designed by Todd Lawson, these cleaning slippers will keep your house clean. 15 Unusual and Cool Beverage Drinking Gadgets - Part 2. 15 Creative Rechargers and Cool Mobile Phone Rechargers. 15 Creative Camping Stoves and Innovative Portable Cookers. 12 Cool iPhone Cases and Unusual iPhone Case Designs - Part 6. 15 Creative Paper Clip Holders and Cool Paper Clip Holder Designs. 15 Clever Stamps and Creative Stamp Designs. 15 Coolest Waterproof Cases for your Gadgets. 12 Awesome and Coolest Garden Lights. 15 Innovative and Cool Bathtub Gadgets. 12 Cool and Functional Wi-Fi Gadgets - Part 3. 10 Hammer Inspired Products and Designs. 15 Creative Moon Inspired Products and Designs. 15 Awesome and Cool Summer Gadgets. 30 Innovative and Cool High Tech Backpacks. 50 Coolest and Awesome iPhone Attachments. 15 Awesome and Coolest Chess Sets - Part 4. 12 Coolest Color Changing Bathroom Gadgets. 12 Innovative Smartphone and Camera Shutters. 15 Smart and Latest Bike Gadgets - Part 5. 15 Innovative and Creative Car Gadgets. 15 Coolest and Awesome Animal Bookends. 15 Coolest and Awesome Nightlights.